Publishing platforms are changing – the transition from print into online is more rapid now than ever. THE SEEN, Chicago’s International Online Journal of Contemporary & Modern Art, features in-depth global coverage of exhibitions, artists, and events. An independent editorial affiliate of EXPO CHICAGO, the publication is the first of its kind to the city, and is the only art publication in Chicago to exclusively focus on writing about international coverage. Our global network of Staff Writers extends to Paris, London, Berlin, Vienna, Toronto, and Montréal, and nationally in New York, Philadelphia, and Los Angeles. 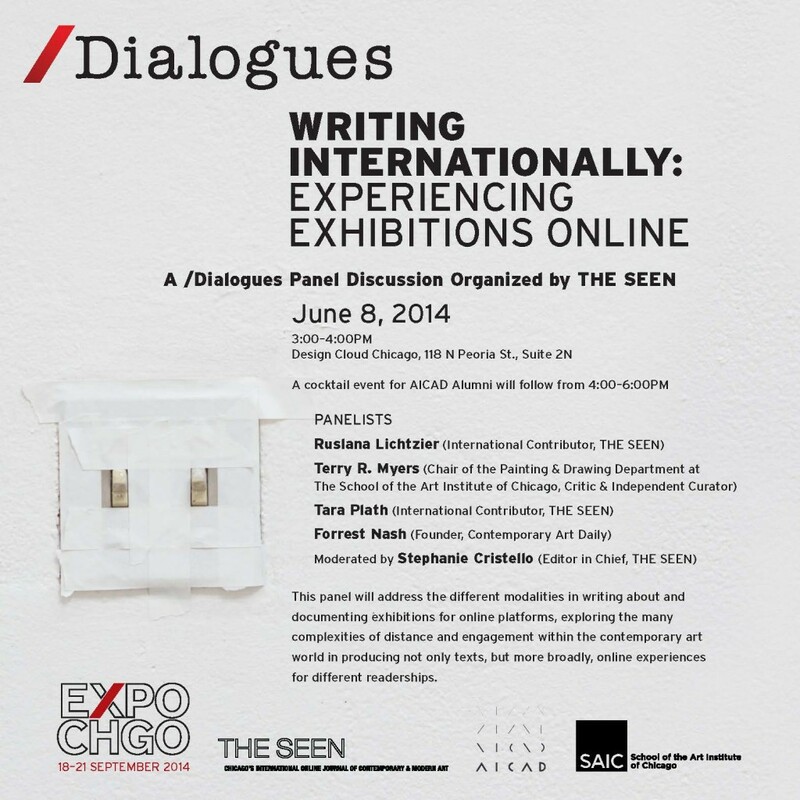 May 7, 2014 | Filed under Art Seen: Chicago, Art Seen: International, Art Seen: National and tagged with AICAD Conference, Dialogues, EXPO /Dialogues, Forrest Nash, Ruslana Lichtzier, SAIC, Stephanie Cristello, Tara Plath, Terry R. Myers, The School of the Art Institute of Chicago, The Seen.